Are you looking for auto transport leads providers, but not sure how it works, or where to start? Watch this video to find out why the industries top auto transport brokers are buying iMover Leads, the #1 choice for auto transport leads providers. We’ll help you book more orders, and take your company to the next level. Join our network of brokers today and immediately start receiving car transport leads you can grow your business with. Receive as little as 15 leads per day up to 160. With monthly lead packages ranging from $500-$6000 per month. Pay as you go, with weekly payments options! Split your monthly invoice into 4 weekly payments, and pay anywhere from $125 – $1500 per week depending on how many leads per day you want to receive. Visit our pricing page to see all the auto transport lead packages that we have available. In addition, you can choose the days of the week that you want to receive leads! Whether it’s 7 days a week, or 5 days, or maybe just off on Sunday’s. You have the flexibility to pick and choose what works best for your business! The professionals at iMover Leads are online web marketing experts, and our auto transport leads providers are some of the best in the business. Our customers report some of the highest conversion rates in the industry! In part, due to a large portion of our leads are “call verified” where customers are looking to ship right away. We are on top of our industry in customer service, knowledge and expertise! Working with all major search engines and have invested heavily in organic and paid search marketing techniques. Unlock your future, start receiving leads today! With the industry’s highest conversion rates, increased rates of return, what are you waiting for? Fill out our online e-sign leads application to give your income the boost you’ve been waiting for! 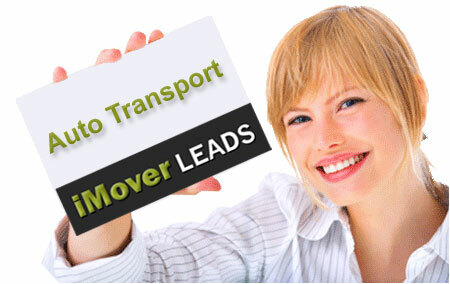 iMover Leads – Auto Transport Leads Providers… that lead to a successful future!